Well, let’s assume you get an advance. Maybe it’s $20,000 for a book (you’re doing well at that level). Between 10% and 15% of that will go to your agent, and the rest will probably be paid to you in instalments: one on signature of the deal, one third on hardback or trade paperback publication, one on mass market paperback publication. I was ecstatic to sign my publishing contracts, but I thought – naïve as I was – that in return for giving up around 85% of the cover price, my books would be treated to a decent promotional budget. I wasn’t looking for billboards or ads on the sides of London busses. Just… well, something. I have had thousands of reviews. I’ve sold more than a million copies of my books. I’ve made seven figures from the silly little stories in my head. Just looking at it in financial terms puts the benefits of going indie against going the traditional route in stark relief. The self publishing platforms will give you up to 70% of the price of the ebook. I tend to price my books at around the $5 mark. That means that I’m receiving around $3.50 for every book that I sell. At the end of the day, I’m agnostic about the form the book takes. It could be a dead tree or a collection of electrons; it makes no difference to me at all. The most important thing is the story, and a book or an ebook is just the means of transmitting that story from writer to reader. There are a lot of “what ifs”. And it’s important to insulate ourselves against decisions and events that are outside of our control. The best way to do that is to establish a list of our readers that we own and control. A list that we can rely upon when we have a message that we want to communicate. An email mailing list is the single best way to do that, and the most important asset that an author can have. Told my readers that I had a new book out (and promptly saw them launch it into the top #100 in the whole of the Amazon store). Recruited readers to my advance team and had them spot errors that had slipped through my editorial process. Found expert readers who were able to help me correct factual errors that I’d made (for example, ballistics experts who correct my shocking lack of knowledge when it comes to the weapons that John Milton uses). Put out a call for my readers to consider voting for me for a UK thriller award. Build a lookalike audience for Facebook advertising. Asked those readers who had read one of my books to consider leaving an honest review so that I could increase the odds of landing an influential promotion (and duly added fifty reviews in less than 24 hours). All of your social channels. There are plenty of places where you can hook up with professionals with experience in the publishing industry. There are also marketplaces like the ones hosted by Reedsy.com where you will be able to hook up with a professional who can provide the service that you need (think of it like speed-dating between authors and editors, designers, etc). The old adage is that everyone has a book in them. I can add something to that: for everyone who has a book in them, there’ll be a predator only to happy to liberate them from their money in exchange for an overpriced “service” that they don’t really need. My last Milton book cost around £1000 to put together. One of the things I love most about Mark’s approach to teaching is there’s zero hype. I’m fairly sure he’s never used hyperbole in the entire time I’ve known him (o-rama). 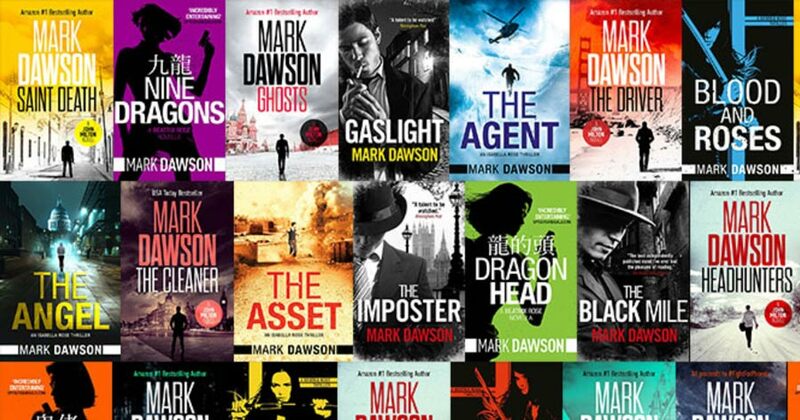 And Mark really has been through it all – from struggling aspiring author, to “bottom of the slushpile”, to indie newbie, to international bestseller… Mark’s been there and done that. Which, of course, means he’s figured out which of the (many) approaches to building an audience and readership don’t work, and which ones make a measurable difference to your business. And that’s good news. Because I’m sure everyone reading this is keen to skip the 10+ years Mark spent trying to figure this out on his own. Now, as Mark mentioned, he runs several popular online courses. 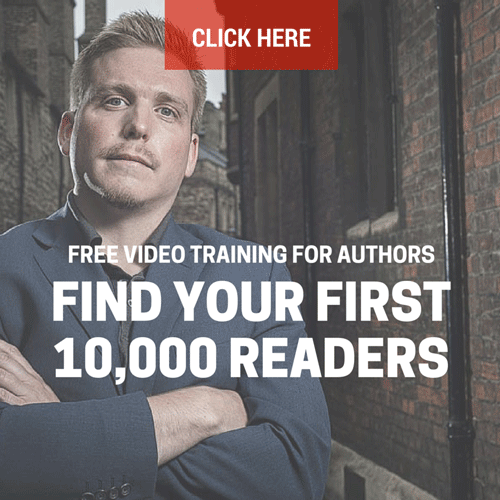 Right now, Mark’s online course for beginners – Self Publishing 101 – opens up on September 5th, until the 26th. The course is designed to take you from “I just finished my book” through to “I’m published and growing an audience and sales”. It covers all the technical aspects of publishing (like formatting, cover design, uploading, distributing) as well as the basics of list building, advertising, and launching your first book. So if you’re a beginner, or just want a more structured process, this course might be a perfect fit. And there’s also a 30 day guarantee and a 12 month payment plan, so you can give the whole thing a whirl without any risk. The course opens at 5pm Eastern / 10pm UK time on September 5th 2018. Read all about what’s inside the course on the enrollment page right here. The enrollment page opens up on Wednesday 5th September at 5pm Eastern / 10pm UK time. If you’re just getting started and wondering “what happens next”, you might want to take a look. He’s been featured in Forbes, The Daily Mail, The Daily Telegraph, The Sunday Times and the Financial Times, as well as interviewed on national radio and on plenty of podcasts. I love mark’s no-nonsense and sensible approach. It is always inspiring to hear him speak of read something he has written on the topic. Thanks for sharing all this, Mark! I am approaching my first anniversary as a published author and have tremendous plans for the coming year! I hope to incorporate a number of your suggestions to improve my process and the quality of my work, and to become much more efficient. I’m also looking forward to the potential ROI that this second year may bring! Best of luck to you and yours. Be safe out there! Wht an excellent and uplifting post. I’ve changed my approach to publishing over the past six months. Thank you for the information.